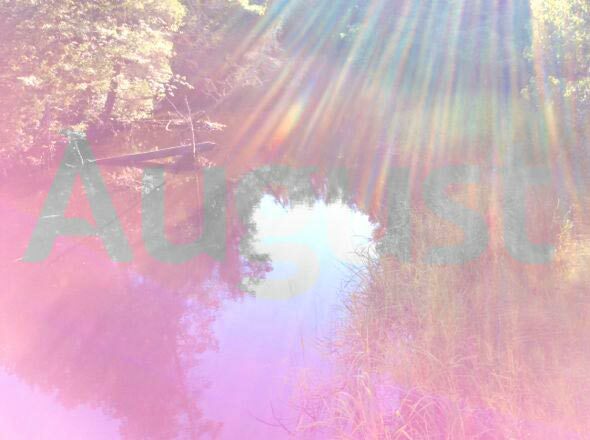 August light beams down on the Wading River. The night is setting earlier and the bugs are busy in the trees making their hypnotizing and primal nighttime song, as they have likely done for millions of years. And tonight, with a cup of Jersey Peach tea given to me by my friend KD, I'm writing this. Long Shits. This section has been made current. The count is now up to 32 in total. #33 is the latest, though #32 is yet to appear. The Hit Record collection has also been updated, including a new upload: Hit Record 9 ● At Evan's Bridge With KD. There's a story about it here. Mixing is finished on a release by a Pine Barrens pal of mine, Yung Coyote. Path Of Symbols, which I might describe as a flute-driven foray into the outer reaches of mental wilderness climaxing with a bold look into the terrible eyes of existential dread. Despite, the work strangely returns us (at least me) with a gift of warm, profound peace. It is going to be available on Batona in a few weeks where all (with an internet connection) can soon experience it. Mixing is also occurring on some long-ago-mentioned, unreleased remixes that I still hope will surface in the capacity it deserves. More on that later. The film Evan Wilder's Pine Barrens exists and a few friends have seen it to good reaction. There will be more to say about plans for this in another update later. Otherwise, the pull is towards laying low, getting offline, turning off music gear, taking lone walks among the pines when possible, and being present in fleeting summer light.